Flax seeds and flax seed oil have become extremely popular in recent years. They are antioxidant rich and contain a high amount of omega-3 fatty acids. They also boast a tasty, nutty flavor that is extremely versatile and delicious in many applications. Benefits: Flax seeds are mostly known for their high omega-3 content that stands up well to higher temperatures. Flax has been considered one of the world’s healthiest foods, ranking number one on that list for omega-3 content as well as lignan content. Lignans are a source of fiber that also act as an antioxidant and omega-3’s are an essential fatty acid, necessary to get from your diet. Flax also has a mucilage component that makes it form a gel around the seeds, which is amazing for digestion. Flax has anti-inflammatory and fabulous for cardiovascular health, as well as digestive health, making them a fabulous addition to your diet. How To Use: Flax seeds are great to add into smoothies or baked goods. If you want to grind them up first, a coffee grinder seems to work best to turn flax into a powder. They are great for thickening and adding a slightly nutty flavor. They can even be used to add flavor to a nut butter! Flax seeds, like chia seeds are also fantastic as an egg replacer in vegan baked goods. To make a flax egg use 1 tbsp flax seed meal to 3 tablespoons water for 1 egg. Nutrition Facts: Servings Size: 2 tbsps. 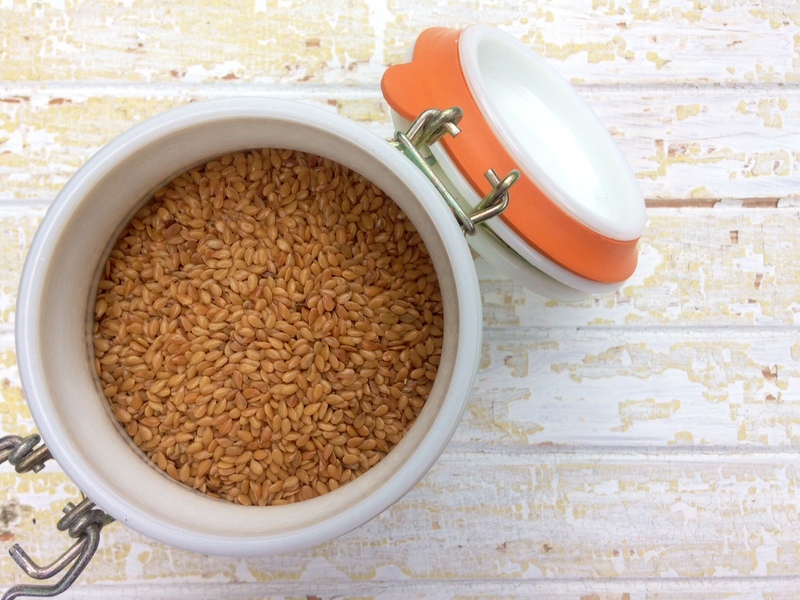 *It is best to grind your flax seeds fresh each day to keep the fatty acids from oxidizing, but they will also be fine in the refrigerator for a couple of weeks! *It’s best to store seeds in the fridge or freezer to keep them from going rancid, but fine to keep in the pantry if you will be using them within a month or two!